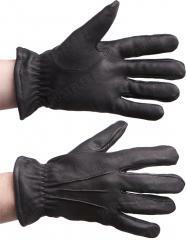 Cut resistant leather & Dyneema gloves, EN 388 cut resistance class 5. 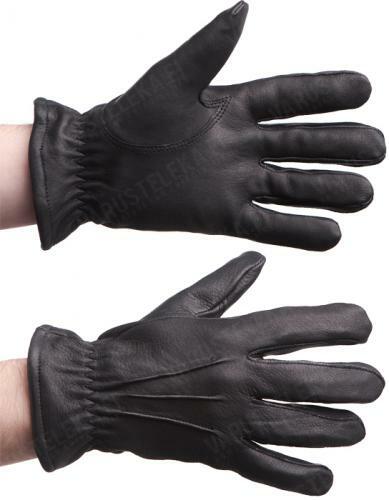 Excellent for law enforcement and security use, or if you'd just like to purchase a pair of top quality leather gloves with a small added bonus. These fill the highest EN 388 standards. Made of deerskin with Dyneema lining. Attention: Although the material itself is puncture resistance the weave is not! These are meant to protect you from sharp metal sheets, knives etc. not from needles. Standard glove sizes, with the "easy" size in brackets. If the gloves feel slightly tight at first, no worries - these will form to the hand. If you wear a half size, we suggest opting for the smaller alternative. The "easy" size marked to the gloves themselves might differ from the one given in our listing or could be missing altogether. 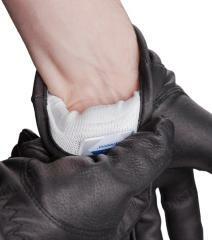 Our sizes are accurate and the number size is always the same as in the glove. Made by Ejendals Ab of Swededn.